In our first episode, we showed you how to modify an existing report template. Now you’re ready to learn how to create a report template from scratch. Join Jassonhopper and Doug in episode 2 of our custom reporting video series and take the next step towards becoming a custom reporting master. We decided to create a video series on custom reporting. Actually, Doug thinks of it as an incredible journey. The ability to tweak, tailor, and tune Word and Excel reports is one of the most powerful features in CaseComplete. Many of our customers use it extensively, but some of you might not know where to start. This video is aimed at you. We’ll start with the basics of how make changes to an existing template: adding images, changing the footer, and removing a section or two. After watching, let us know what you think. Was it helpful? Are you looking forward to Episode 2? Just as you can open new tabs in your web browser, you can now open new tabs in CaseComplete. Each tab shows a filtered view of your items, letting you focus in on a specific subset. 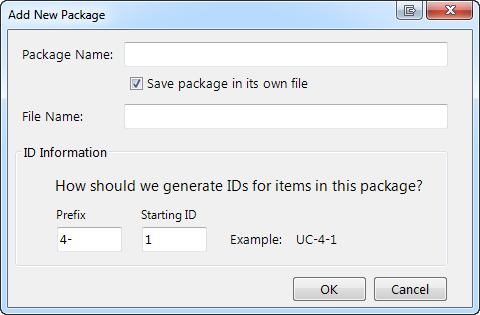 For example, you could choose to show just requirements marked priority 1, for release 1.0, that are assigned to you. You can save your filters so they’re available the next time you start CaseComplete. 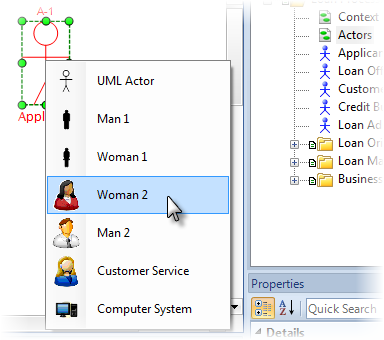 For example, you might do this so Business Rules are shown in their own tab, separate from your other requirements. Some filters may be useful for the entire team, while others apply only to you. When you save a filter, you can choose whether only you can see it, or everyone on the team. Reporting on the filtered items is just a click away. Click the Report button above each filtered view to generate a report that contains only the items shown in the list. As a bonus, you can now view your diagrams, related documents and notes in a list. This makes it easier to find and keep track of these items, which are often attached to other items deeply nested in your package hierarchy. You can install CaseComplete 2013 without disturbing your existing version. So go ahead, download today and give it a try. 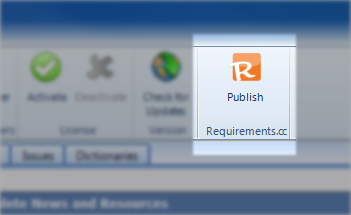 A few weeks ago we released Requirements.cc, a new way to collaborate around your requirements. A lot of people have already signed up and a lot of people wanted to know more about it. So we held a 30-minute webinar where we showed the basics of how it works and then answered questions from the audience. We’re excited to tell you CaseComplete 2012 R2 is available today and along with it, something really big: Requirements.cc. Send the documents out for review. Try to get feedback or approval from your stakeholders. Incorporate feedback from each individual stakeholder. Produce an updated version of the document. Go to step 1 until all stakeholders are satisfied. This seemed like an expensive, drawn-out process that could be improved – especially in the era of smartphones and cloud-computing. 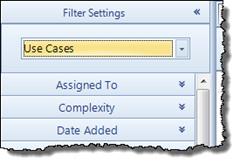 So we built Requirements.cc, one of the biggest features of CaseComplete 2012 R2. It's a new feature that lets you publish your requirements – securely – into the cloud. To get started, open a project you’d like to share, then from the Tools tab, hit the orange Publish button. Once published, you can navigate your project from a browser on your computer, your phone, or wherever. You can share your requirements with whomever you'd like by giving them a secure link. They can give you feedback instantly and they can see the changes you've made without having to re-read everything. With Requirements.cc, we’re trying to help you cut the cost and time spent gathering and incorporating feedback on your requirements. And it's included at no extra cost with your copy of CaseComplete 2012 R2. Try it out by signing up today. We now treat dictionary entries just like any other element, so you can move them from package to package. This means you can create packages that will act as shared dictionaries. You can reuse these dictionaries in other projects, while keeping them separate from any project-specific terms. We've always let you specify test procedures and expected results for your use cases and requirements. Now you can specify an entire suite of tests that validate different use case scenarios. We now save field-value customizations along with the project, so once you change them, your teammates will see your changes. If you want to save your field settings as the default for new projects, we have a checkbox to let you do that as well. We now support fully scripted deployments with all of the options needed to handle a silent installation and activation. As always, you can try it free for 30-days. If you’ve never customized a report in CaseComplete, you’re missing out. The ability to customize report templates (and create new ones) to show just the right information is one of the tool’s power features. Like any power feature, you need to learn the basics to become proficient. In this hour-long webinar we’ll show you how to get started. 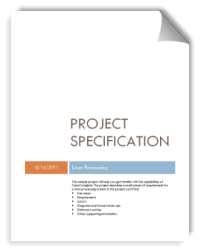 We’ll cover the essentials of the report template language and how to modify existing reports. You’ll learn how to filter what information appears and how to change the overall look and appearance. We’ll spend some time answering whatever reporting questions you might have. Sometimes when you are creating reports, you may not know all the values needed for that report until you generate the report. We’ve added report parameters for Word and Excel reports to handle just that situation. 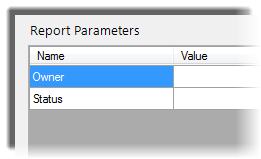 When you include parameters with your report, you’ll be prompted to enter the values for those parameters when you generate the report. This makes it easy to include things like customer names and other information that changes each time a report is run. This also makes it easy to build flexible, reusable report templates that you don’t have to change all the time. Here are some report parameters to help get you started.